Milan are undefeated in five matches now, with three wins in that streak. And while it’s obvious to look at the goals scored, considering that has been our biggest problem this season, this match begs us to look at how much the defense has improved: we have only conceded three goals in those five matches. Particularly in this match, when our arch-nemesis, Immobile, returned to the lineup but was kept off of the scoresheet. The man has scored 24 goals in 24 appearances this season, but not today. So even if the match wasn’t a victory on paper, it was a victory for consistency. 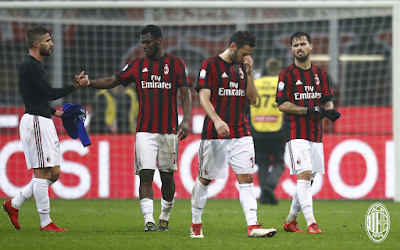 Milan now seem to be in a holding pattern… and that’s a good thing. The first half was kind of even. Lazio were perhaps more attacking, but Milan held possession enough to keep them from scoring. Milan only had two shots in the first half, but their defense was water tight and especially Immobile tight. Perhaps not great football to watch, but an important display against a team that was very motivated for revenge after Sunday’s match. Abate rolled back the years and defended fiercely, and Borini was rewarded a yellow card in the 21st for his valiant efforts as a left back. 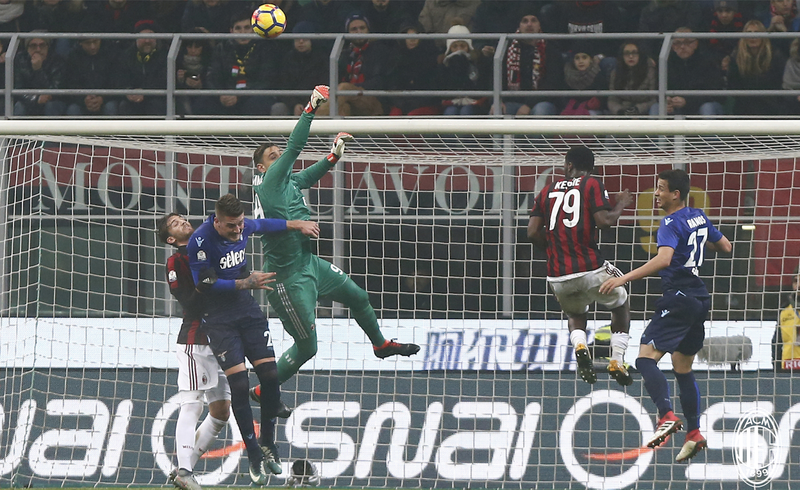 But at 45 minutes, it was still a clean sheet, even if it was also zero for Milan. The second half, Milan were more confident and played more on the attack. Still, they were unable to break down Lazio and score. 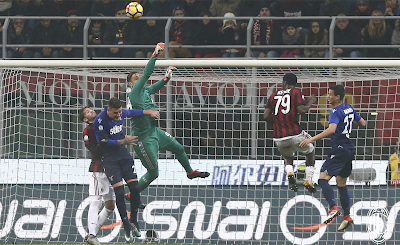 The best chance of the game for either team was in the 75th when Cutrone headed a shot that was miraculously parried out, but then Calahnoglu shot it over as Strakosha was regrouping. A shame, the sub has been playing so well, but when your first choice striker every single match doesn’t score, it’s not very fair to expect that anyone else will, either. Honestly, the 0-0 result was very fair. And it wasn’t really that boring, as many nil-nil matches can be. Both teams fought hard, neither defense cracked, and thus, neither team won. But Milan won in the sense that they are building some serious momentum in mentality. Lazio are the third place team in the league, and this match is the semi-finals of the Coppa Italia. As Gattuso pointed out before Sunday, we hadn’t won against any of the top six teams. And then, on Sunday, we did. And with their fury fueling an increased desire today, keeping the clean sheet was perhaps more important than scoring in this game. Maybe some fans are disappointed, but I’m not. Milan are in a holding pattern… and I, for one, am thrilled.